Call or come in to learn about the healing benefits of Class IV K-Laser Therapy. Laser Therapy is the use of specific wavelengths of light (red and near-infrared) to stimulate the body’s natural ability to heal. increases circulation, drawing water, oxygen, and nutrients to the damaged area. muscle spasm, stiffness, and pain. healing—both in hard and soft tissues, including muscles, ligaments, and bones. chronic issues, such as frozen shoulder and arthritis. Ask us about our Wellness Punch Card! With the addition of Dr. Andrew McKen, we are able to expand our office hours at Hatch Chiropractic and Wellness Center to better serve the South Metro area of Denver including Lone Tree, Highlands Ranch, Aurora, Southlands, Franktown, Castle Rock and Parker CO. The Hatch Chiropractic Wellness Team is IN! 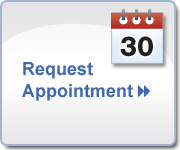 Monday & Wednesday 7 a.m. – 6 p.m.
Tuesday & Thursday 8 a.m. – 7 p.m.
Saturday 8 a.m. – 1 p.m. by appointment. Dr. Hatch comes from an entire family of chiropractors. He completed his Bachelor of Science from Excelsior College of New York and graduated a member of the honor’s society. He completed his doctorate at Western States Chiropractic College in Portland Oregon and served as president of the adjuster’s club while there. Dr. Hatch has also finished off his acupuncture certification in June. Dr. McKen earned his chiropractic degree when he graduated from the University of Western States in Portland, Oregon with passing scores from the National Board of Chiropractic Examiners in all areas. He is the newest member of Dr. Hatch’s team at the Parker Colorado wellness center. Dr. Beth Rizer is an energetic and passionate individual originally from Austin, Texas who has recently joined our chiropractic team in Parker Colorado. She earned her Bachelors of Science in Psychology with a minor in Kinesiology from Texas A&M University. Dr. Beth managed the active rehabilitation department for Airrosti Rehab Centers and ran her own business as a Health and Wellness Coach prior to continuing her own education and exploring her passion for chiropractic wellness at the University of Western States in Portland, OR. She is passionate about getting patients back to doing the activities they love and improving the well-being of everyone she meets. Other than specializing in extremity and spinal adjusting, Dr. Beth is a Webster Certified Provider for pregnancy and new moms with extensive training in Corrective Exercise, Functional Movement Systems, Soft Tissue Techniques such as Instrument Assisted techniques, Active Release Therapy, and Fascial Distortion as well as Kinesiology Taping, Nutrition, and Wellness. The Holidays are taxing both mentally and physically. Get your loved one the perfect gift this season with our deepest discount of the year on 1-hour massage gift cards with any of our 4 super talented therapists. Beginning December 1 until Christmas we will be offering our gift cards for an hour-long massage for only $50!!!! That is 20% off our initial discounted massage offer and 40% off the regular rate so come on in and load up for your stocking stuffers while supplies last! This would make a perfect gift for that person on your list that has everything. Dr. Ryan Hatch specializes in treating athletic injuries for every member of your family using different aspects of his chiropractic training. Dr. Hatch has completed his sports medicine elective certification and offers low-cost pre-participation physicals for high school teams. He is the official team doctor for a Colorado-based Toyota cycling team and also treats triathletes. Strapping and bracing and related approaches. We have recently added many services to help with sports injuries including therapeutic massage therapy, exercise therapy, and an on-staff personal trainer. How can Chiropractic help with the flu??? As a chiropractor here in Parker Colorado I see a fair amount of patients suffering from the flu. I am often asked if I recommend the flu shot and so once and for all I will tell all of you patients here in Parker and Douglas county what I recommend this season. The medical community is in unanimous agreement that the secret to fighting the flu is a healthy immune system. Unfortunately you can’t buy a healthy immune system and you can’t pop a pill and get a healthy immune system. A healthy immune system comes about as a result of having a fully functioning nervous system & body. When Will Flu Season Strike Parker? The flu season begins in November and is at its height between December and March. According to the Centers for Disease Control and Prevention, 1 out of every 5 Americans will get the flu this year. Are you prepared for the flu season? Chiropractic care may be your answer to a clean bill of health this season. Chiropractic can give your immune system a boost with a spinal adjustment. Let me give you the facts and a recent study about chiropractic and the flu: A study shown in the Journal of Vertebral Subluxation Research in 1997 showed chiropractic care to be effective in treating the flu. Over 2,800 individuals received regular chiropractic care and the result was an average 15% decrease in the incidence of colds and the flu. According to the World Chiropractic Alliance, spinal adjustments can help your immune system function better. An adjustment corrects what are called vertebral subluxations which can cause interference of the nervous system. When an adjustment is performed, it releases pressure on the nerves and allows more efficient interaction between your body’s nervous system and immune system. When your immune system is healthy it is better prepared to prevent or combat the flu. Regular chiropractic care is beneficial to the body. Preventing the flu is just one of the many positive side effects of regular chiropractic maintenance. Do you really need a flu shot? Or could great flu-fighting benefits accrue from taking a healthier and more natural approach to fighting the flu? And of course eating right, exercising, and having a healthy body are all important issues in combating the flu as well. If you would like to learn more about utilizing chiropractic to combat the flu during the upcoming flu seasons, please give me a call. We’re here to help! Also, family plans are available to save you money. We are adjacent to the Parker library off of Parker and Main street you may schedule your appointment by calling 303-841-7121.